Years of study by scientists from the San Bernardino County Museum helped set aside the Tule Springs Fossil Beds National Monument as America’s newest national monument signed into law on Dec. 19. The Tule Springs Fossil National Monument, located north of Las Vegas, Nev. is the first national monument dedicated to fossils from the Ice Ages, and the nation’s first such monument in an urban setting. The Tule Springs site in the upper Las Vegas Wash has long been known to contain fossils of dating to the end of the Pleistocene Epoch – the “Ice Ages”. But most early studies in the region focused on finding proof of Ice Age humans. When this evidence never materialized, studies ceased, and the area lay fallow for decades. 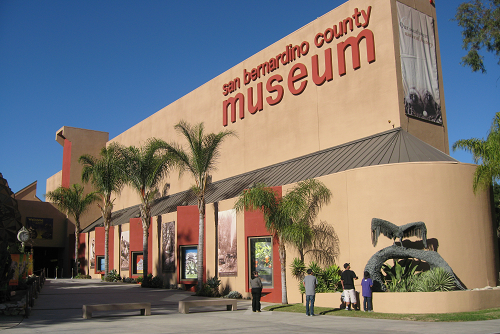 Eric Scott, San Bernardino County Museum curator of paleontology and Kathleen Springer, the museum’s curator of geological sciences, recognized the paleontologic and geologic potential of the region. Over two decades, under permit from the Las Vegas District office of the Bureau of Land Management, County Museum scientists discovered hundreds of new fossil localities and tens of thousands of fossils, including sabre-tooth cats, llamas, horses, and Columbian mammoths. The findings were so significant that the Bureau of Land Management set the area aside for conservation, and provided research and public outreach grant funds to the County Museum. The Museum carried out geologic investigations in partnership with the U. S. Geological Survey. Although the process of creating the monument will take years, visitors to the County Museum can come see fossils from the site already on display. More exhibits are coming soon. “As the Museum’s Hall of Geological Wonders continues to open, the next stage plans to present fossils from the new monument and other Ice Age lakes and caves in the Mojave Desert,” said Scott.